Absolutely Unique and Special Amulet Bracelets. 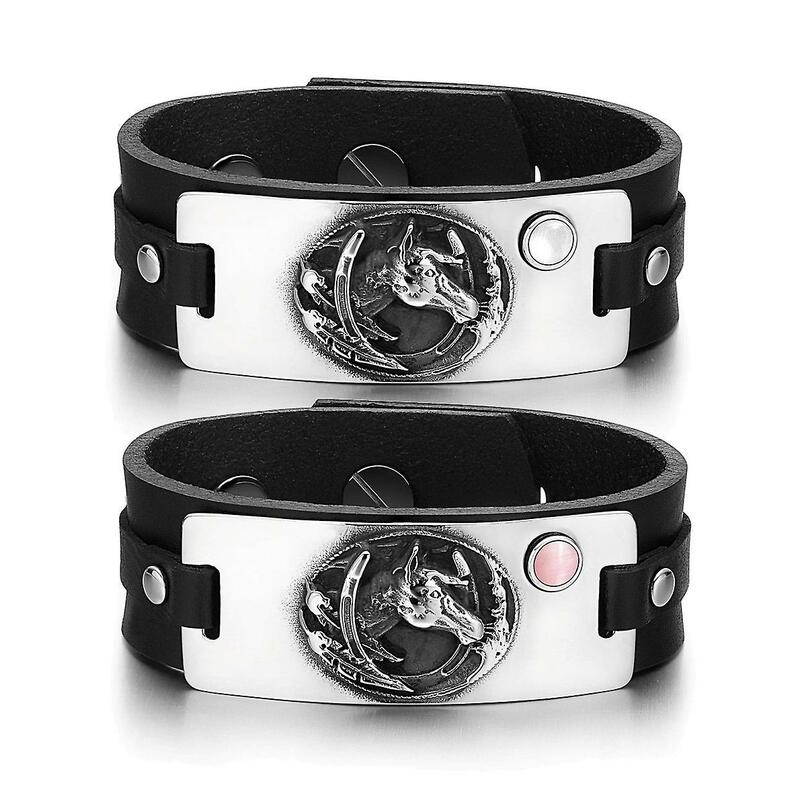 Each is Created as Brave Mustang and Lucky Horse Shoe Powers Magic Amulet and Adorned with Round Cabochon holding White Simulated Cats Eye Crystal and Pink Simulated Cats Eye Crystal. Each of these Unique Bracelets are made from Genuine Leather and may be adjusted to fit smaller or bigger wrists. These Bracelet are made from Black Genuine Leather and Looks Amazing. Bracelet Tag is Curved to fit with the Wrist Shape and is made from Highly Polished and Beautiful Stainless Steel.